Fleetwood Mac News: It Happened: 15 Years Ago Today Fleetwood Mac released "The Dance"
It Happened: 15 Years Ago Today Fleetwood Mac released "The Dance"
August 19, 1997 - Fleetwood Mac released The Dance on the 20th Anniversary of Rumours, and the 30th Anniversary of Fleetwood Mac. 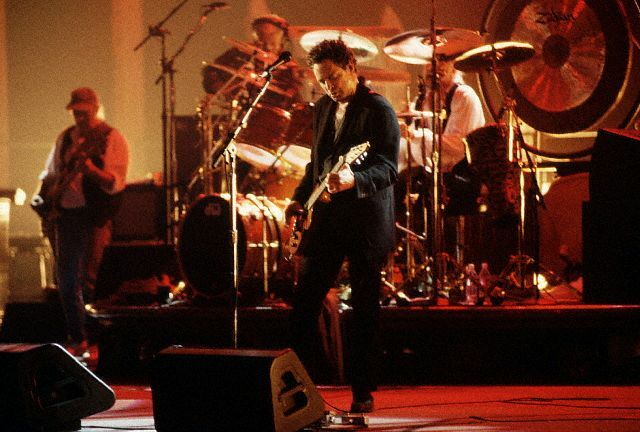 The ablum went on to become the fifth best selling live album of all time in the US. To date US sales alone total over 5 million copies. 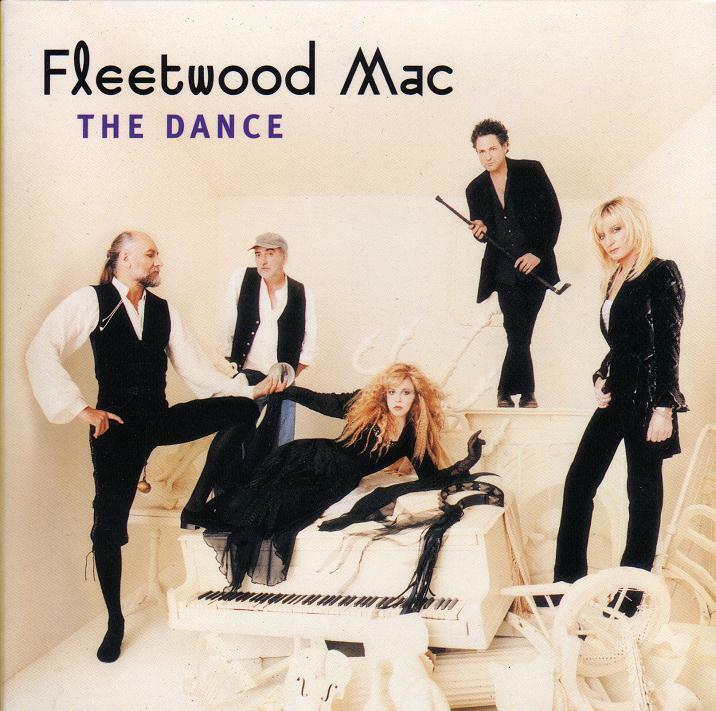 The Dance marks the first album to feature the most successful line-up of Fleetwood Mac since the release of Tango in The Night in 1987 and the first album by the band to top the US albums charts since 1982's Mirage. The album debuted on Billboard's Top 200 Albums Chart September 6, 1997 with sales of 199,000. It would spend the next 12 weeks inside the top 10 and would sell its first million copies in the US within 8 weeks. The album contained three new tracks - Temporary One from Christine McVie, Bleed To Love Her from Lindsey Buckingham and Sweet Girl from Stevie Nicks. It all began May 22, 1997 when the band reconvened in a Warner Bros. Studio soundstage in Burbank, California where over the course of two evenings (May 22nd and 23rd), The Dance was filmed before a live audience. MTV began airing the special August 12th and one week later Reprise released the album on August 19th. Warner Reprise released the VHS video version first on August 26th following the album release, then on DVD September 23, 1997. To date The Dance video has been certified platinum. 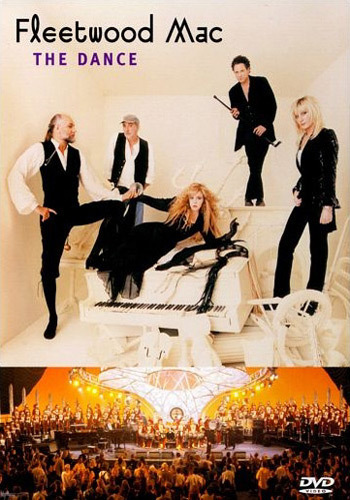 The DVD version contained five exclusive tracks not found on the CD: Songbird, Gold Dust Woman, Gypsy, Over My Head and Go Insane. With the release of The Dance, it not only delighting exsisting fans world wide, but we fell in love with them all over again. Fans had all but given up on the classic line-up ever getting back together again. The Dance also introduced the band, and was the entry point for many new fans of Fleetwood Mac - thanks in large part to the MTV and vh1 airings of The Dance and also in large part to the singles releases from the album including "Silver Springs" which was a Rumours cut originally slated for the album, but was cut at the last minute because of vinyl limitations only making it to the B-side of the Go Your Own Way single back in the 70's and later in 1992 on Fleetwood Mac's box set "25 Years - The Chain". The tune was issued to pop, AC and Mainstream rock radio July 22, 1997 with "The Chain" following as a promotional only CD issued to radio August 4, 1997. "Landslide" was released, remixed and reached as high as #51 on Billboards Top 100 Singles chart. 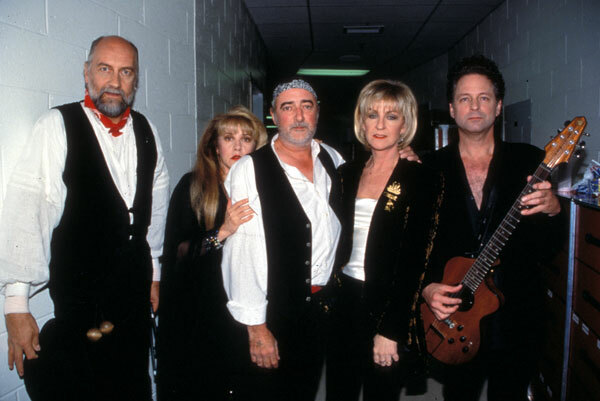 Following the release, Fleetwood Mac mounted A huge 45 date US fall tour playing to sold out venues everywhere making this the first tour all 5 Rumours era members would be on stage together since 1982. 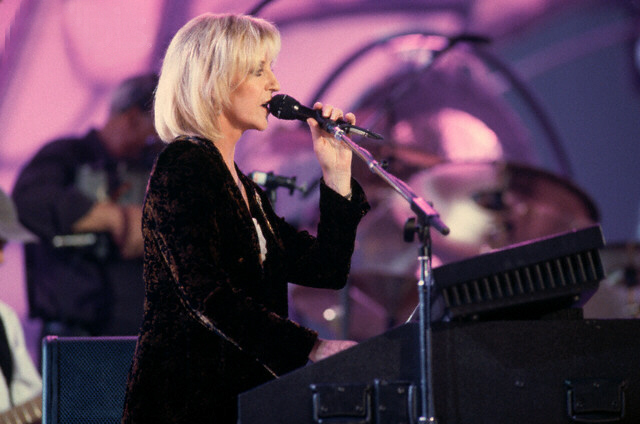 It also marked the last tour with all five members as Christine McVie retired from the band in 1998. How time passes by its seems like yesterday. Still one of favorites of alltime. I truly believe if The Dance recording/reunion had never happened, Stevie's solo career would have gradually drifted away in the late 1990s. 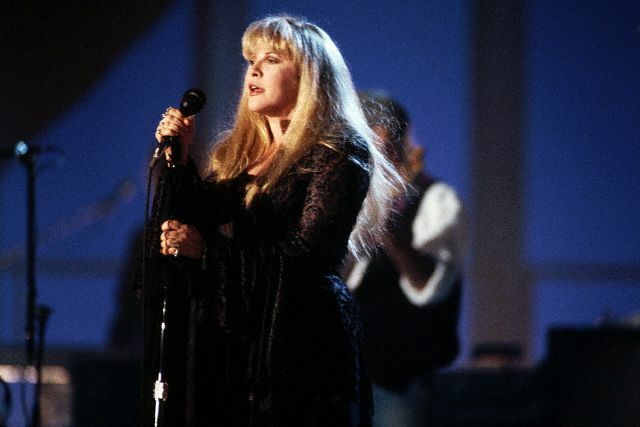 It provided a much needed jump start that included a new appreciation and respect for her role in Fleetwood Mac. Did anyone else catch the Stevie footwear issue in the first of the 4 photo opp/interview videos? 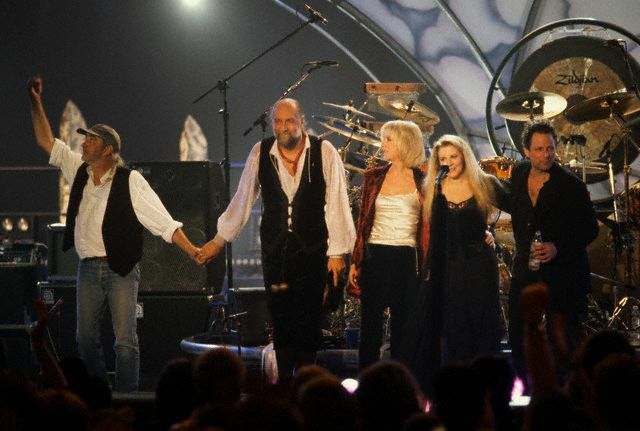 I always thought Fleetwood Mac was robbed at the Grammy's in 98 for "The Dance". They lost all three awards they were nominated for, including one for "Silver Springs". They should have won, but lost best pop album to a James Taylor album that wasn't even a hit, lost pop song to Jamiroqoai, who turned out to be a one hit wonder. Anyone catch Video 1 around 11:50 where Stevie states "we didn't talk" and Lindsey whispers to her, "we talked." Way cool. Thanks for posting! At 10:38 Lindsey is poking or tickling Stevie and kisses her head! I love it! I remember that Grammy show and remember thinking they were robbed also; especially when you consider the one hit wonder song. In total agreement with that.